Briefing: Will Qatar still host the 2022 World Cup? Since Qatar landed the 2022 FIFA World Cup in 2010, politicians and journalists alike have considered the Middle Eastern nation’s successful bid with a jaundiced eye. The country is the size of Connecticut, has no football tradition to speak of and features summertime temperatures so scorching that there has been a serious discussion about moving the competition to the winter. How could such a nation cobble together a bid that outclassed the likes of the US and Australia, critics asked. Now, there are more questions. New corruption allegations have surfaced. Specifically, a senior Qatari football figure, in an attempt to bring the World Cup to his homeland, is alleged to have bribed FIFA luminaries in exchange for their support. A report in the Sunday Times says a trove of documents shows former FIFA executive committee member Mohamed Bin Hammam, a Qatari, made $5 million worth of payments to officials around the world in exchange for their support of the Qatari World Cup bid. Wasn’t that fellow in hot water before? Yes. He tried to challenge Sepp Blatter for FIFA presidency in 2011, but had to withdraw from consideration as corruption allegations swirled. In May 2011, FIFA’s ethics committee announced he was suspended; it was alleged he had offered each of the 25 Caribbean Football Union members $40,000 in bribes. 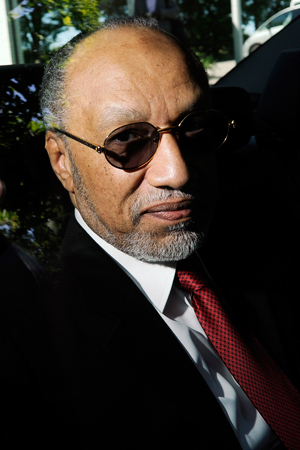 Bin Hammam was given a lifetime ban from the sport for corruption. An international sport tribunal reversed that decision, although it hardly exonerated him. In its decision, the Court of Arbitration for Sport said its decision should not be viewed “of any sort of affirmative finding of innocence in relation to Mr Bin Hammam. He resigned from all football positions in December 2012, before FIFA moved once again to ban him for life. Doesn’t this cast doubt on whether Qatar will host the 2022 World Cup? You would think so. Political and football leaders from throughout the globe have called for an investigation. UK Prime Minister David Cameron has gone on record saying anything could happen following the recent revelations. What has Qatar to say about the allegations? The country’s bid committee has continued to distance themselves from Mohamed Bin Hammam, saying he did not serve on the official body that had advocated for the World Cup to Qatar. But if Bin Hamman was a big cheese at FIFA and worked hard to secure the competition for his homeland, isn’t that response a cop-out? Plus doesn’t the notion that he was a rogue operating on his own strain credulity? It’s FIFA, where credulity does really not exist. Oh. Who exactly is he alleged to have bribed this time? The heads of 30 African football associations for starters, according to The Times. Hasn’t Qatar been enmeshed in other controversies regarding its World Cup preparation? Yes. Most notably there were the reports of more than a thousand migrant workers — most of whom hailed from Nepal, India and Bangladesh — who died while working on construction sites for the football stadia. Some died from heart attacks, while others died in falls or committed suicide. Numerous international observers have said the working conditions are unsafe and inhumane. Some have speculated the migrants are literally being worked to death. That’s a great question. 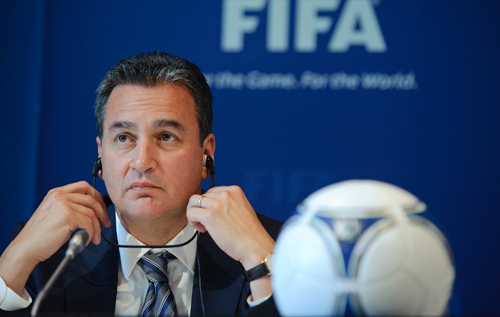 What we do know is that FIFA investigator Michael Garcia, a New York attorney, is scheduled to meet with Qatari football leaders this week in Oman.